This Low Poly model is ready to use for Rig. Low polygonal model, correctly scaled for an accurate representation of the original object. - All textures can be easily modified. - Model is fully textured with all materials applied. - All textures and materials are included and mapped in every format. 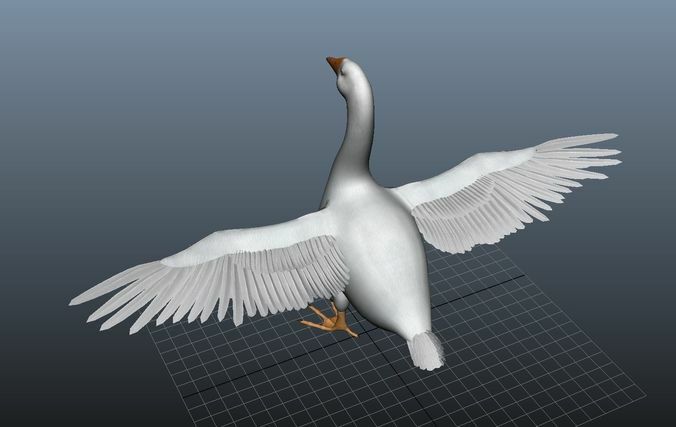 Textures: Goose_Body_Diff.PSD, Goose_Body_Nor.PSD, Goose_Feather.psd, Goose_Body_Diff.jpg, Goose_Body_Nor.jpg, Goose_Body_Nor.jpg, Goose_Feather_Diff.jpg, Goose_Feather_Trans.png, Texture_Files.zip.